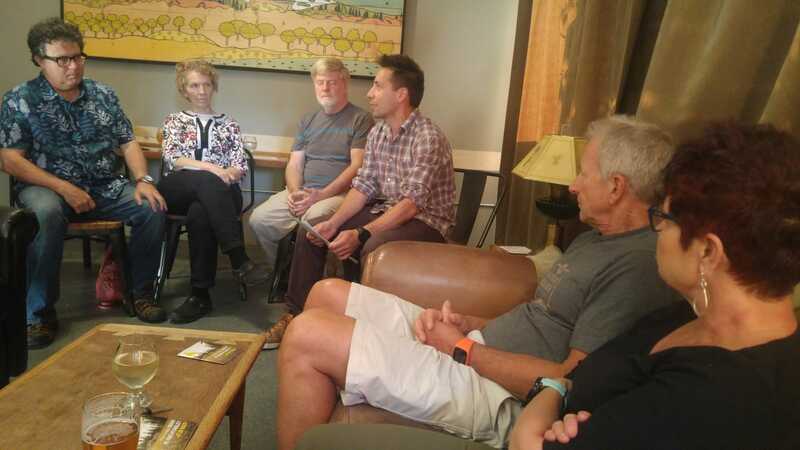 War Prevention Initiative Executive Director held a free public talk/workshop on the Global Peace System in the Spirituality on Tap series in Hood River, OR. We are living in a time when wars and military options are the prevalent and commonly accepted forms of dealing with social conflict worldwide. The current crises with North Korea, Iran and Russia keep this narrative and the realities at the top of our minds. The war story – as real as it is – is the old story. The Global Peace System is the active creation of a new story. Great changes have taken place over the last 100 years in terms of global collaboration, constructive conflict transformation and social change. The concept challenges the belief that the world is more violent than it ever has been. While recognizing a dominating war system, which is embedded in many societies with social, political, economic, psychological, religious and cultural functions, the realistic trends are considered an active creation of a new global paradigm. With this workshop, I hope to actively contribute to the creation of a new global paradigm constructed through the Global Peace System.